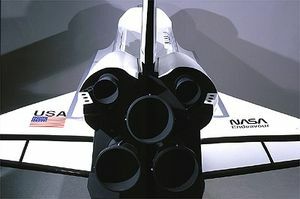 The weight is approximately 175 lbs. 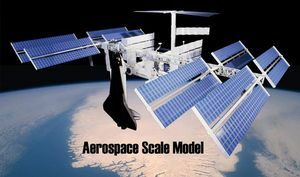 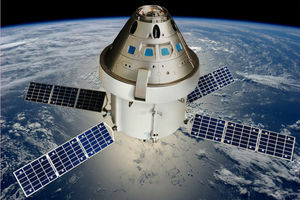 Pro Modelbuilders are custom fabricators and the ISS model and other space program elements can be adapted to suit your needs in terms of scale or display context. 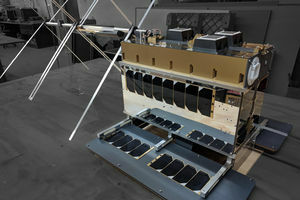 The size of a suitcase, Canada's MOST (Microvariability and Oscillations of STars) microsatellite carries Canada's first space telescope. 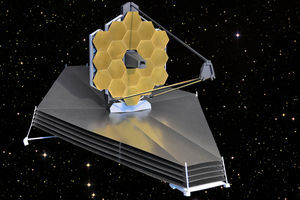 Launched in June of 2003 from Plesetsk, Russia on a Rockot vehicle, this modest-looking instrument probes stars and extrasolar planets by measuring tiny light variations undetectable from Earth. 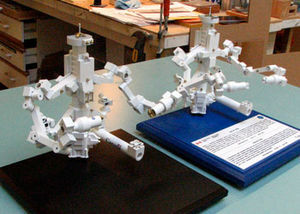 We were asked to copy an existing model of the Dextre (the Canadarm’s “hand”). 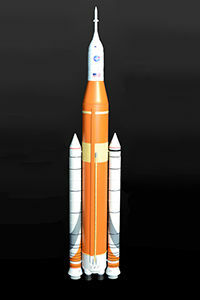 Scale is 1:15. 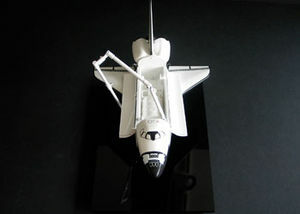 The material is various plastics and some metal. 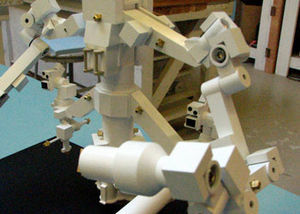 All the joints are positionable. 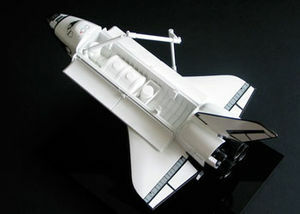 We were asked to create a desk top model of the space shuttle at 1:100 with a movable Canadarm. 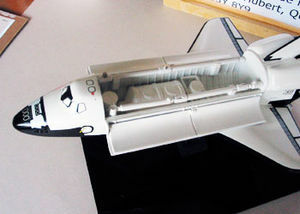 We modified a commercial model and cast it in rubber molds for the shuttle. 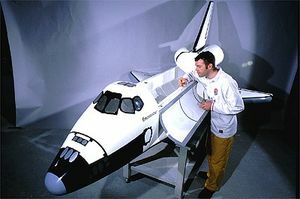 Everything else is scratch built. 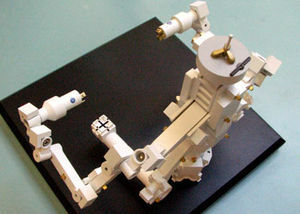 Small ceramic magnets hold the “arm” in place. 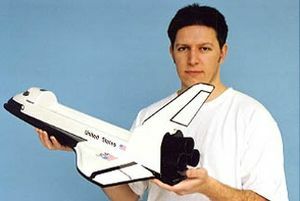 Commissioned to augment an International Space Station model at the same scale. 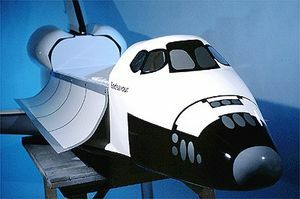 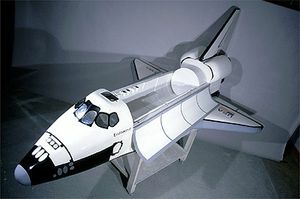 This shuttle is constructed of fibre-glass and is displayed hanging upside down. 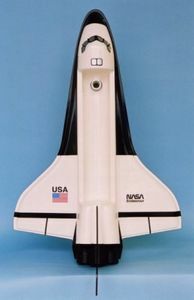 The wings, tail and rocket array were removable for shipping.